China will take action to defend its interests if the United States damages trade ties, the Ministry of Commerce said on Tuesday, after U.S. President Donald Trump authorized an inquiry into China's alleged theft of intellectual property. Trump's move, the first direct trade measure by his administration against China, comes at a time of heightened tension over North Korea's nuclear ambitions, though it is unlikely to prompt near-term change in commercial ties. U.S. Trade Representative Robert Lighthizer will have a year to look into whether to launch a formal investigation of China's policies on intellectual property, which the White House and U.S. industry groups say are harming U.S. businesses and jobs. The United States should respect objective facts, act prudently, abide by its World Trade Organization pledges, and not destroy principles of multilateralism, an unidentified spokesman of China's Ministry of Commerce said in a statement. China was continuously strengthening its administrative and judicial protections for intellectual property, the ministry added. China's policy of forcing foreign companies to turn over technology to Chinese joint venture partners and failure to crack down on intellectual property theft have been longstanding problems for several U.S. administrations Trump administration officials have estimated that theft of intellectual property by China could be worth as much as $600 billion. Experts on China trade policy said the long lead time could allow Beijing to discuss some of the issues raised by Washington without being seen to cave to pressure under the threat of reprisals. China repeatedly rebuffed attempts by previous U.S. administrations to take action on its IP practices, and has insisted it rigorously protects intellectual property. U.S. President Donald Trump responds to a reporter's question after signing a memorandum directing the U.S. Trade Representative to complete a review of trade issues with China at the White House in Washington, U.S. August 14, 2017. Trump has suggested he would be more amenable to going easy on China over trade if it were more aggressive in reining in North Korea. China has said the issues of trade with the United States should not be linked to the North Korea problem. Gold prices dipped in Assa on Tuesday as North Korea appeared to back away from threats to fire missiles at or near U.S. territory Guam and the dollar made a mild recovery from recent weakness. Overnight, gold prices retreated from two-month highs on Monday, as risk appetite returned, after tensions eased between the U.S.-North Korea, following comments from U.S. officials downplaying the prospect of war on the Korean peninsula. Gold prices eased from two-month highs, as investors cheered comments from U.S. Defense Secretary Jim Mattis and Secretary of State Rex Tillerson downplaying the risk of imminent war on the Korean peninsula. Losses in the yellow metal, however, were limited as sentiment on tighter monetary policy remained subdued, following data on Friday showing the slowdown in inflation continued in July The minutes from the Federal Reserve’s July policy meeting due Wednesday, at which the central bank left its benchmark rate unchanged could offer further insight into the prospect of additional monetary tightening later this year as well as the central bank’s plan to reduce its $4.5tn balance sheet. Gold is sensitive to moves in U.S. rates, which lift the opportunity cost of holding non-yielding assets such as bullion. Oil prices steadied on Tuesday after sharp falls the session before to the lowest in about three weeks as a stronger U.S. dollar and a drop in Chinese refining runs hit the market. U.S. A stronger dollar tends to limit the demand for oil for buyers paying in other currencies. Both Brent and WTI had reached two-month highs on Aug. 10. Chinese oil refineries operated in July at their lowest daily rates since September 2016, official data showed on Monday, to ease brimming inventories as state-owned oil giants faced off independents in a retail petrol price war. Analysts said the drop was steeper than expected, exacerbating concerns that a glut of refined fuel products could weaken Chinese demand for oil. The dollar firmed on Tuesday after North Korea's leader signaled that he would delay plans to fire a missile near Guam, further easing tensions and prompting investors to move back into riskier assets. The weekly U.S. crude inventory report from the industry group American Petroleum Institute (API) is due out later on Tuesday. Official U.S. government statistics will be released on Wednesday. Efforts by the Organization of the Petroleum Exporting Countries and other oil producers to limit output have helped lift Brent past $50 a barrel, but concerns remain that these efforts could be undermined by producers in the U.S. and other countries. U.S. shale oil production is expected to grow for its ninth consecutive month in September to 6.15 mn barrels per day, the U.S. Energy Information Administration said on Monday. Gold closed down Monday on and made its intraday high of 1290.32/oz and intraday low of US$1278.50/oz. Gold down by 0.671% at US$1281.66/oz. In daily charts, prices are above 200DMA (1230) and breakage below will call for 1234-1224. MACD is below zero line and histograms are decreasing trend and it will bring downward stance in the upcoming sessions. RSI is approaching neutral region and more upside is expected before it touched overbought region. Stochastic Oscillator is in overbought territory and giving positive crossover to confirm bullish stance for intraday trade. Based on the charts and explanations above; sell below 1279-1304 keeping stop loss closing above 1311 and targeting 1270-1264 and 1254-1249. Buy above 1270-1230 with risk below 1230, targeting 1279-1288 and 1296-1305. Silver closed up Monday on made its intraday high of US$17.20/oz and intraday low of US$16.92/oz. Silver settled down by 0.292% at US$17.05/oz. On daily charts, silver is sustaining below 100DMA (17.02), breakage above will lead to 17.80-18.00. MACD is above zero line and histograms are increasing trend and it will bring bullish stance in the upcoming sessions. RSI is in oversold region, indicating buy signal for now. The Stochastic Oscillator is in overbought region and giving positive crossover to show upside move for the intraday trade. Based on the charts and explanations above, buy above 16.50-14.90 targeting 17.35-17.70 and 18.35-18.60; stop breakage below 15.00. Sell below 17.35-18.60 with stop loss above 18.60; targeting 16.50-16.00-15.60 and 15.30-14.90. Crude Oil on Monday made an intra‐day high of US48.96/bbl, intraday low of US$47.42/bbl and settled down by 2.625% to close at US$47.48/bbl. Based on the charts and explanations above; sell below 48.00-50.00 with stop loss at 50.00; targeting 48.00-47.50 and 47.00-46.10. Buy above 47.50-45.20 with risk daily closing below 45.00 and targeting 48.00-48.50 and 49.20-49.80. EUR/USD on Monday made an intraday low of US$1.1769/EUR, high of US$1.1837/EUR and settled the day down by 0.346% to close at US$1.1779/EUR. On daily charts, prices are sustaining above 20DMA (1.1732), which become immediate support level, break below will target 1.1700.-1.1600. MACD is below zero line but histograms are increasing mode which will bring bullish view. Stochastic is in overbought territory and giving positive crossovers to signal for bullish outlook for intraday. 14D RSI is currently in neutral region and giving upwards directions to consider buy. GBP/USD on Monday made an intra‐day low of US$1.2955/GBP, high of US$1.3021/GBP and settled the day by down by 0.284% to close at US$1.2963/GBP. Based on the charts and explanations above; short positions below 1.2960-1.3200 with targets at 1.2900-1.2825 and 1.2760-1.2700, breakage above 1.3200 look for further upside with 1.3300 as targets. 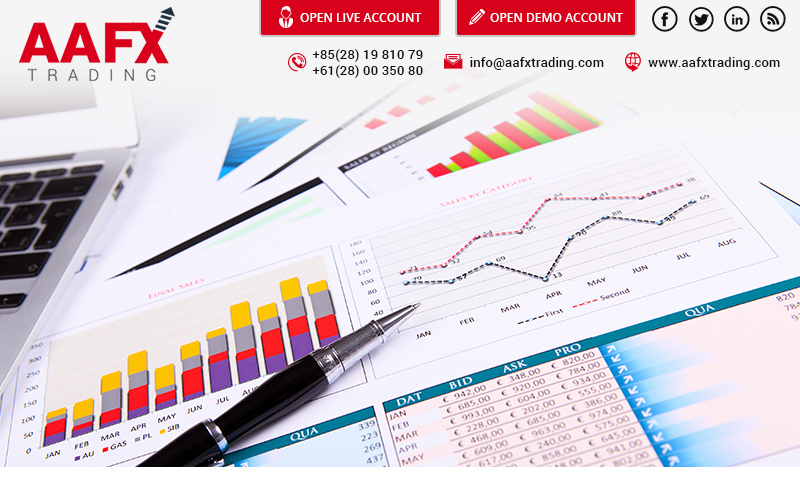 Buy above 1.2900 -1.3300 with stop loss closing below 1.3300 targeting 1.2960-1.3000 and 1.3090-1.3140-1.3220. USD/JPY Monday to made intra‐day low of JPY109.03/USD and made an intraday high of JPY109.79/USD and settled the day up by 0.439% at JPY109.62/USD. Long positions above 110.00-108.05 with targets of 110.90-111.60 and 112.00-113.00 with stop below 108.00. Sell below 110.90-113.00 with risk above 113.00 targeting 110.00-109.5-109.10 and 108.50-108.05.